ESCONDIDO — Shoppers began lining up outside the store early on Wednesday in the eastern part of the city. For many of the shoppers, they were ready to stock up on goods and most were happy that they didn’t have to travel as far to do so anymore. Walmart opened its doors for the first time to customers, signaling a new opportunity for employment for the more than 200 workers it hired, and the ability for the city to benefit from the sales tax the national, general warehouse store will bring to it. And the generation of sales tax revenue started from day one, explained Mayor Sam Abed. “They will start generating a good amount of sales tax for our city,” he said. The approximately 92,000 square foot store at 1330 E. Grand Ave. also signals further revitalization coming to the area. Johnston said the Chamber was always excited when businesses, whether they’re as big as Walmart or any of the smaller ones, like a taco shop, come into town because it creates vibrant neighborhoods. Abed said he thought the Walmart would help bring the east part of town into the next level economically. Would the city welcome another Walmart in the area? “It’s been very challenging to find 10 to 15 acres to accommodate them and that’s why we have this store here,” said Abed. 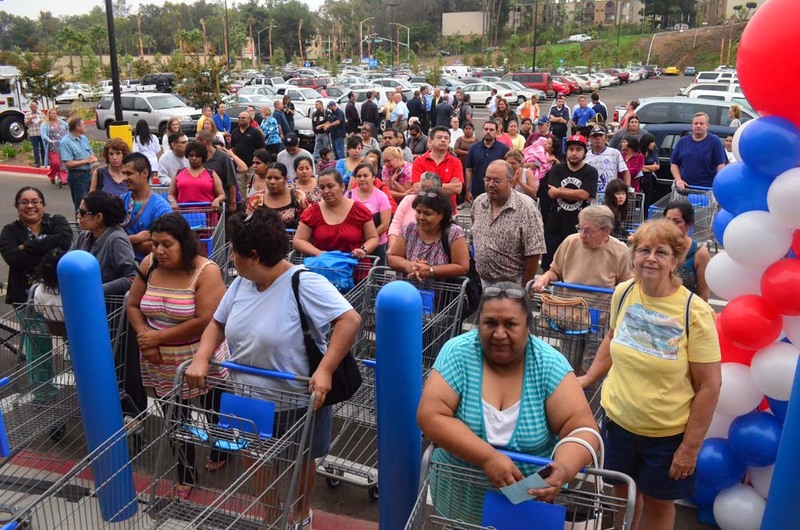 Abed referenced a second Walmart location opening in Escondido — this one a grocery store. The Walmart grocery store, at 1266 E. Valley Parkway, is expected to open sometime next year, according to Walmart officials.